Measuring in at 60″ by 42″, this sign is done in the style of a lot of other Coca-Cola signs. Each sign will vary on value based on what the text reads. Some are more rare than others. 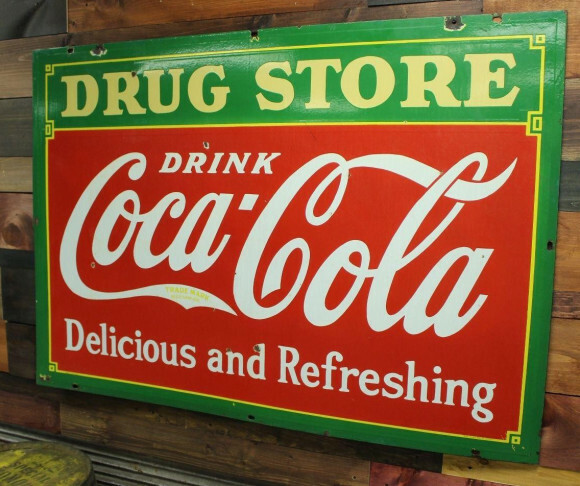 This sign’s text reads “Drug Store, Drink Coca-Cola, Delicious and Refreshing.” The sign is red and green.